This is an absolutely delicious cake, a favorite on Guam. 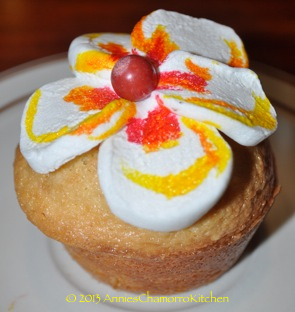 This is absolutely fantastic served without any frosting; however, it’s also delicious served with fresh fruit, whipped cream, or as a base for Latiya. 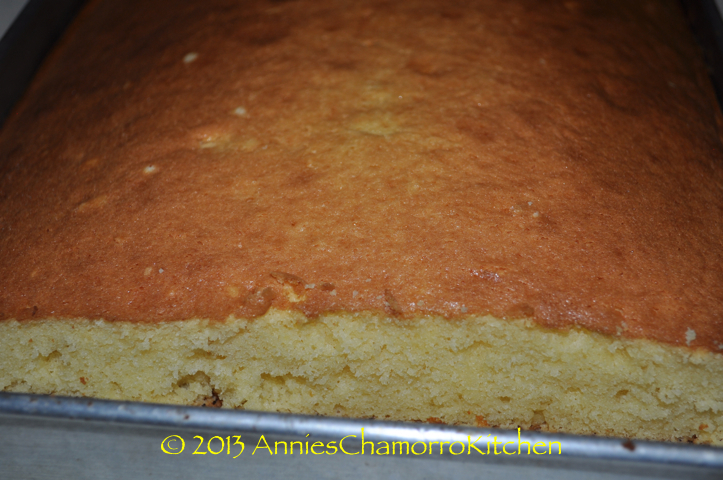 This is my shortcut version, but be checking back for my “regular” Chamorro Cake recipe, which I’ll post soon! 2. Mix all ingredients together; pour the batter into a 13×9 pan. 3. Bake for 25 minutes (check at 20 minutes). A toothpick inserted into the center of the cake should come out with a few crumbs sticking to it. Do I follow mix for butter yellow cake mix by the box?? No, follow my instructions above and use the ingredients that I listed. You’re welcome! Let me know how it turns out for you. Can this bake in a loaf pan for easy slicing, like for latiya? thank U Ms Annie, Now I don’t have to buy spongecake nomore. Its very expensive, when I need to make latiya for my children.Buenu! Thanks, Cuz! This is my “easy, shortcut” version. 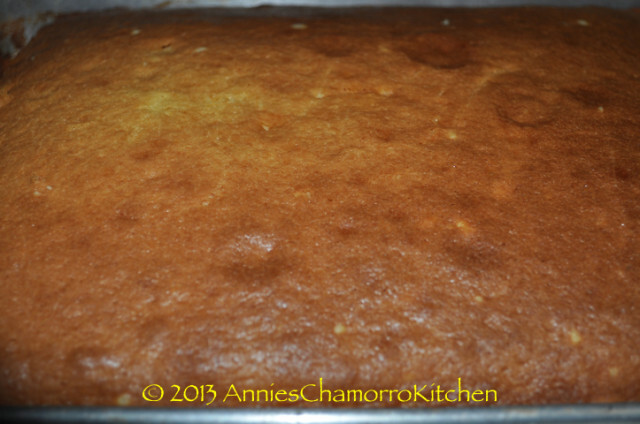 Come back soon as I’ll be sharing my old fashioned recipe for Chamorro cake. Thanks for the short cut, but when are you sharing your old fashioned recipe? I used to make this and my children looked forward to it, but misplaced it. Please let me know and keep doing a good job. LOL! Thanks! I will have to find some time to make it. I don’t post any recipes unless I make it so that I can take pictures.